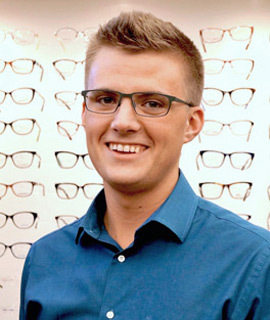 The opticians, technicians and staff at Bauer & Clausen Optometry are here to make every patient feel at ease and enjoy their appointment with us from start to finish. One of the many things that sets us apart is our commitment to finding and retaining the best and most qualified staff anywhere. Each of our team members is dedicated to delivering outstanding care and service, and each receives ongoing training to ensure they have the knowledge, skills and abilities to do their job well. They’re ready to make every experience an outstanding one. Our trained opticians are ready to help you find the perfect pair of glasses to suit your needs. They are skilled in both frame and lens technology, and want you to look and see your best! 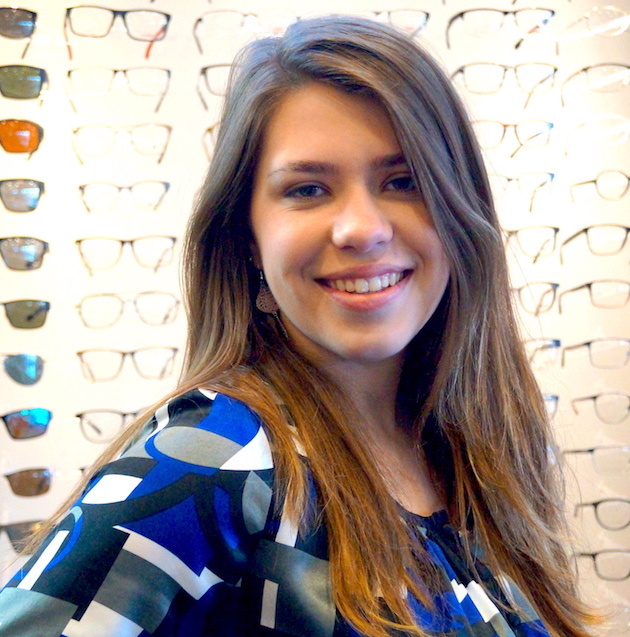 Krystin fills two roles at Bauer & Clausen Optometry. She is the Practice Manager and an ABO Certified optician. As Practice Manager, she works closely with the doctors to ensure that business runs smoothly. She also works closely with staff to ensure that they have the tools and training needed to perform their jobs at the highest level. Krystin is a graduate of Montana State University, where she earned a degree in Anthropology. When she is not in the office, she enjoys trying new restaurants, being active and spending quality time with friends and family. She is also an avid adventurer: she’s been to five countries and has no plans to slow down soon. Amber enjoys working with patients of all ages, but children are her favorite – especially if it is their first pair of glasses. She says kids find it both exciting and fun to pick out—and later pick up—that perfect pair. 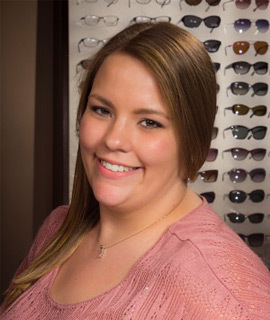 Amber has worked as an optician with Bauer & Clausen since 2015, but has worked in customer service since she was a teen. She earned a degree in Health & Human Performance from Montana State University. In her free time, Amber loves to spend time with family and friends, often meeting up for coffee, dinner, shopping or walks with her dog. 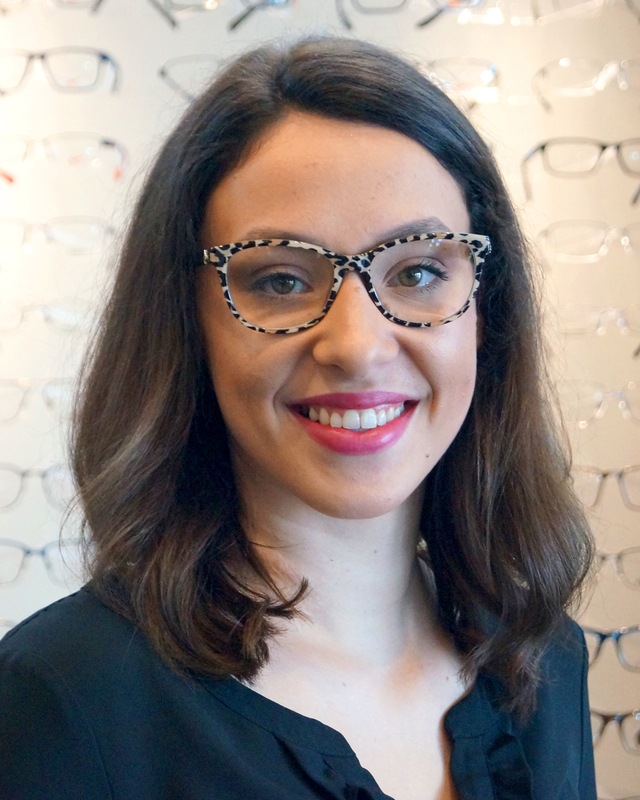 A background in customer service has equipped Savannah with the communication skills necessary to help patients find the perfect pair of eyeglasses. From regular maintenance to latest in eyewear fashion, you’ll find Savannah in the middle of the action. She loves meeting new people and assisting with their eye care needs. Savannah also has a creative side and enjoys getting crafty. She also has fun spending time with her kiddos and loves to watch—and play—football. 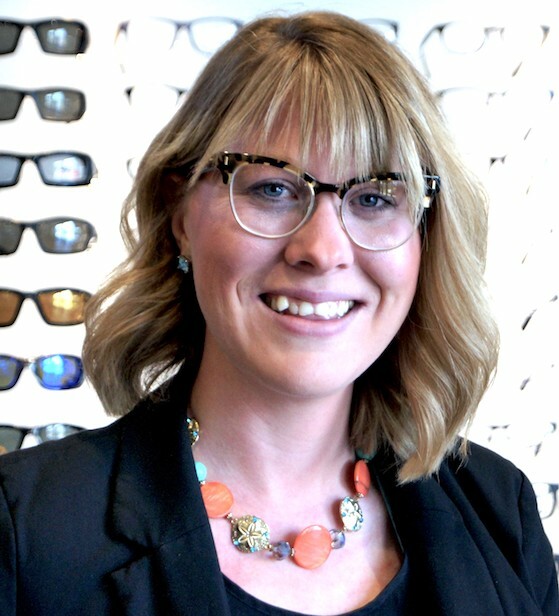 As an optician, Sarah enjoys the finer details of the job: working with tools and making eyewear adjustments to ensure that every customer is satisfied with the function and feel of their eyeglasses. She joined Bauer & Clausen Optometry team in the spring of 2017, bringing with her a background in customer service and a special interest in working with older patients. 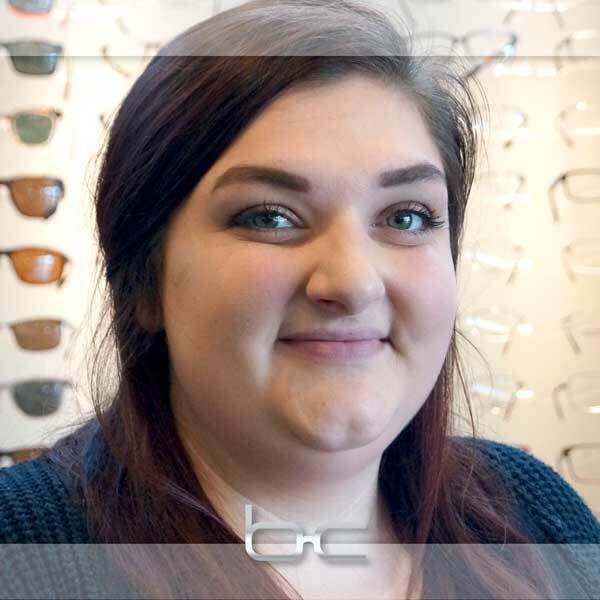 Sarah enjoys the challenge of finding the perfect frame for every face shape and she is inspired by the kindness of the doctors and staff in our office. Sarah loves to spend her off hours playing under the big sky with family, enjoying everything from fly fishing to archery. 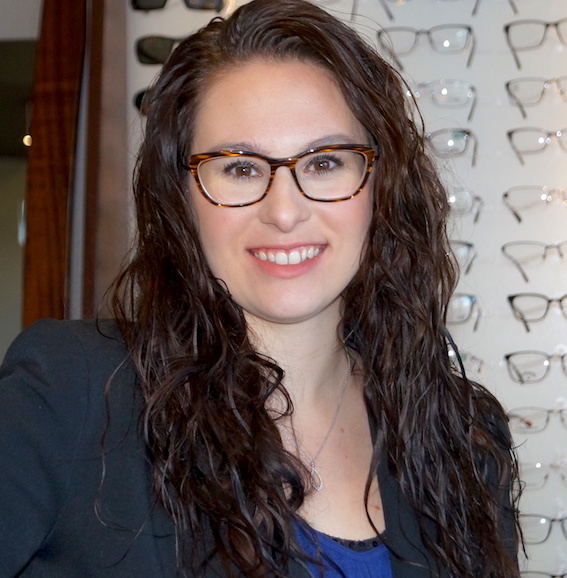 As an optician, Hailey wants you to have more than good vision; she wants you to fall in love with how you look and feel in your new frames. After graduating from Rocky Mountain College with a degree in Business Management and Organizational Leadership, Hailey served in a variety of customer service roles. 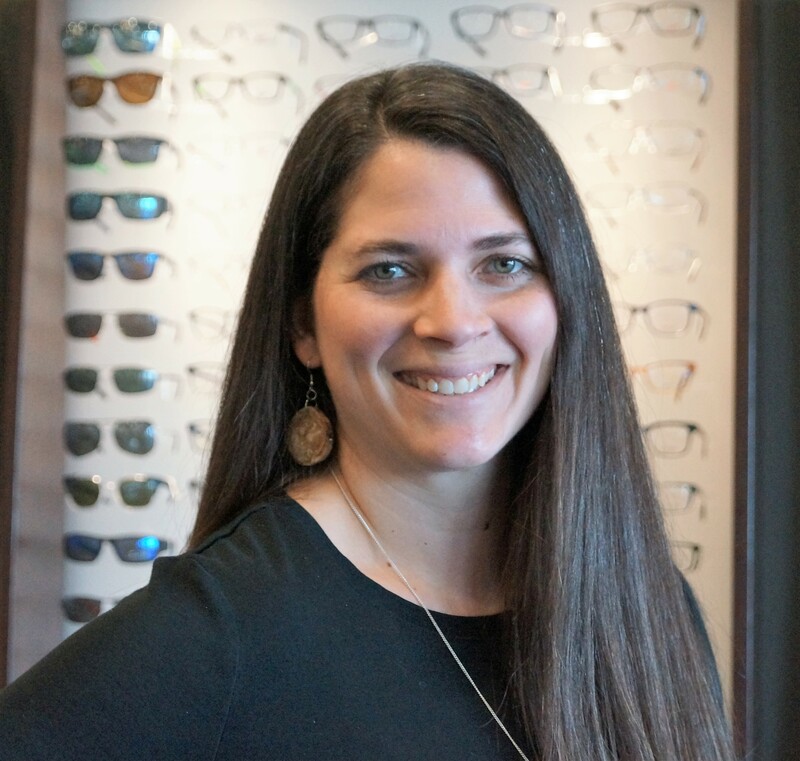 She joined Bauer & Clausen Optometry in June of 2017 and is proud to be part of a team dedicated to providing the best possible experience for patients. 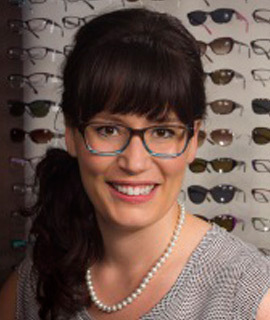 When not in the eyewear gallery, Hailey enjoys spending time with friends, family and her three dogs. 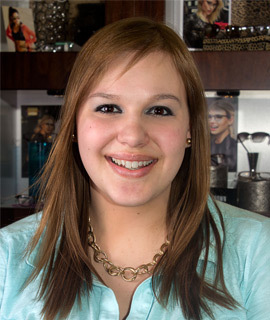 Charli isn’t just a member of our team—she’s also one of our valued patients! 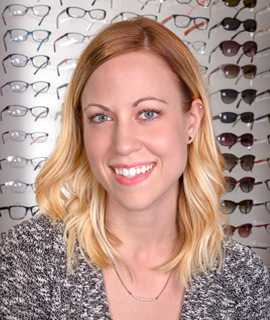 As an optician, her goal is to ensure every patient feels welcome and confident in knowing they will be well taken care of. Charli is a University of Montana grad, having earned a degree in Journalism and minored in both history and Spanish. She has a diverse customer service background and enjoys interacting with those she helps. Outside of work, she enjoys playing the piano, reading classic novels and being outdoors with friends and family. Our optometric assistants are involved directly with patient care as they assist Dr. Bauer and Dr. Clausen throughout the examination process. Their involvement with patients includes pre-testing on routine exams, ancillary testing on our ocular disease patients, training patients in preparation for contact lens wear, and much more. As an Certified Paraoptometric Technician (CPO), Brian is responsible for performing preliminary testing for patients who come to see Dr. Clausen for a comprehensive eye exam. He’s also the one who makes sure that all paperwork is processed correctly and he supports correspondence between health care providers. A Billings native, Brian attended West High School and Montana State University Billings, where he graduated with a degree in Business Administration and Management and a minor in Spanish. He is new to the field of optometry; however, his prior customer service and attention to detail are a perfect fit for the practice. On a personal level, he enjoys reading, writing, camping and fly fishing. The Bauer & Clausen team welcomed Kori Hassler as a Patient Care Coordinator and Technician in late 2018. She describes her role as being “one of the first friendly faces patients see when they come in the door,” and loves getting to meet new people every day. Kori has a degree in graphic design and formerly taught preschool, so she’s equipped to handle anything! When she’s not answering patient questions, scheduling appointments or pre-testing, she enjoys spending time outdoors with her family. Summer calls for hiking or backpacking. In the winter you’ll find her playing in the snow – snow shoeing, cross country skiing or carving the slopes on a snowboard. Reilly joined the Bauer & Clausen team in May of 2018. While she is new to optometry, she’s been using her outgoing, caring personality to serve customers since she was old enough to land a job. Her role as a technician allows her to do two things that she loves – learning things and meeting new people. She says she appreciates the team atmosphere and working together to ensure each patient’s appointment is as smooth as possible. Away from the office, Reilly loves finding new adventures outdoors, including hunting, fishing or taking road trips to new places. One fun fact? She’s an animal lover – especially raccoons. The administrative team at Bauer & Clausen Optometry provides you with excellent customer service in person and on the phone. Our receptionists and insurance specialist welcome you as you enter our practice, assist you in understanding your insurance benefits, and make sure all of your questions are answered before your patient experience is complete. Rylee is one of the first friendly faces you see when you walk into our offices. She does a great job making people feel welcome at Bauer & Clausen Optometry. Getting to know patients and socializing with them during their time with us is one of the things Rylee likes best about her work. She also enjoys working with the team to troubleshoot situations and find new ways to deliver outstanding patient care. After hours, you’ll find Rylee spending time with friends, family and her favorite furry companion, a Corgi named Piper. Melissa has worked at Bauer & Clausen Optometry since 2014 as the insurance claims and billing specialist. She enjoys the teamwork required in her job, and loves the fact that business is always changing. Melissa also shares a deep appreciation for Bauer & Clausen Optometry’s focus on doing their best to make patients happy. Melissa is always on the go and enjoys playing softball or hitting the dance floor. She also takes time to spend time with her family and take in the latest films.